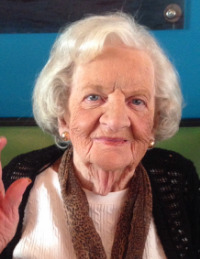 Charlene Davis Skypeck, 91, died on January 10, 2019, in Seattle, Washington. Charlene is survived by her children and their families: Tom and Diane Skypeck; Chuck and Gretchen Skypeck; Don Skypeck and Brad Mee; Jessie and David Cunningham; and David Skypeck and Jennifer Clements, plus eight grandchildren and two great grandchildren. Walt Skypeck, Charlene’s husband of 57 years, passed away in 2009. Charlene spent most of her life in Memphis, Tennessee. She is now reunited with her beloved Walt, and with many others dear to her. She will undoubtedly make new friends quickly, organize a book club or two, devote herself to baking for garden club meetings, and immerse herself in her new neighborhood, as she so enjoyed doing in life. In service to her previous community, Charlene served as President of the Kirby Woods Garden Club, President of the PTO at Ridgeway and a volunteer at St. Francis Hospital. Thank you to everyone for your support during Moms time here in Seattle. Especially to Cecilia and Simi at The Good Samaritan for their loving care which provided her with comfort and dignity during the last few years of her life. Brad and I would like to thank everyone who offered love and support to Mom during her illness. We'd also like to join in the specific thanks Tom and Diane expressed to Cecilia and Simi, as well as their entire staff at The Good Samaritan, for caring so lovingly for her. We love you Mom, and although we'll miss you, we're glad you're now with Dad again, to share the love between you that made the Skypeck home such a great place to grow up. I remember well all the stories Mom told me over the years about her growing up. Life was very different 91 years ago! One of my favorite stories was when she was living in New Orleans as a teenager and at a very young age put on high heels, rode the tram to Kress’s Drugstore downtown to try to get a job. I think she succeeded. That was Mom, always trying to work hard. Another one of my favorite stories was when she and Dad met. She was working as a bookkeeper and Dad was auditing books. It was love at first sight (at least for Dad). I will miss the stories and support and love that Mom provided to our family over the years. Thank you to everyone who helped Mom over the last few years. I always felt comforted that someone I loved was cared for in such a dignified way. We will miss you, Mom but I am happy that your are now at peace. Love you always. Charlene & Walt were both beautiful, kind, loving people who cared deeply for their family & community. As a beneficiary of their calm & thoughtful kindness for many years, I always appreciated their abundant patience, understanding & generosity of Spirit toward David (in particular), and all the CrAzY situations our musical adventures brought into their lives on a regular basis for close to 3 decades. They will both be forever missed, & remembered fondly & dearly. We all have a new Guardian Angel, and Charlene will do the job second to none! Charlene was a woman like no other and a mother to me for many years. She and Walt helped me learn what family is all about, having lost mine at an early age. I know it must have been hard watching over her the years she battled with Levy Body Dementia. At peace now, her life is one to be celebrated. Thinking of you and yours. Many good memories of Mrs. Skypeck. Hope everything is well.